28th August 2014, Singapore – Nikon Singapore is proud to be part of the 4th Singapore International Photography Festival (SIPF) 2014 as the official camera. The Singapore International Photography Festival (SIPF) 2014 is a biennial event gathering creative minds from around the world with the common objective to elevate the art of photography. It aims to provide an arena for critical thought and academic discourse on photography in Southeast Asia. SIPF also functions as a key platform to discover, nurture, and propel Southeast Asian photographers onto the international stage. Through its satellite programmes, the festival hopes to engage the public and cultivate a larger audience. SIPF 2014 will mark the inaugural year for Nikon. Being part of this photography festival allows Nikon to play its part in bringing its industry expertise in photography to the community. Nikon’s support extends from not only being the official camera partner but to contributing to the festival’s programme line-up, through talks and workshops. “We are very pleased to be part of the SPIF experience this year and look forward to creating more opportunities for photography education and development”. 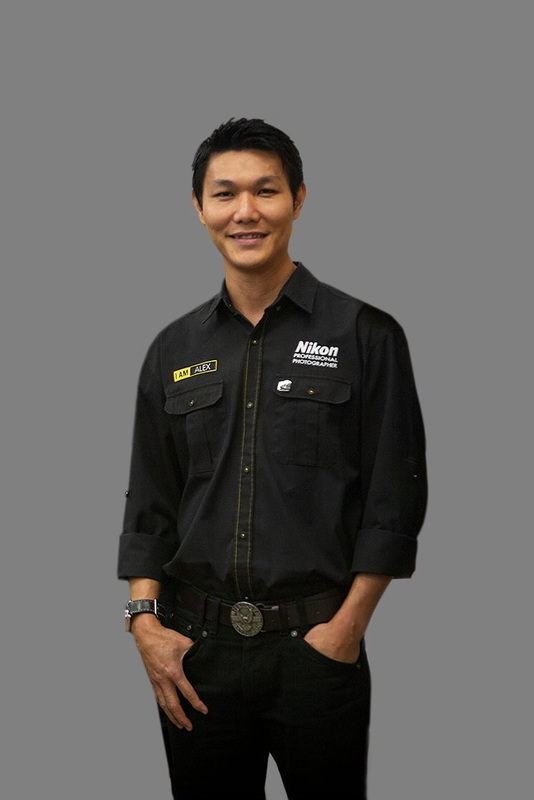 – says Mr Sunny Ng, Senior Sales and Marketing Manager of Nikon Singapore. The Infinity – An infinity focus, in photography terms, means to have the eye of the camera lens wide open. By using the smallest aperture f22, the maximum amount of light can enter the lens to create a picture with the largest depth of view. Using infinity focus, everything can be seen and captured in great clarity. The Singapore International Photography Festival 2014, with the theme of The Infinity, celebrates the endless possibilities that ideas and collaborations can bring. The 4th edition of the festival continues in its mission to break new ground for photography in Singapore by propelling forward as the international photography stage in the region, pushing boundaries to present refreshing and meaningful content and going beyond the ordinary to create a memorable experience for all. Taking the festival beyond its wildest dreams is its first collaboration with the esteemed Noorderlicht International Photofestival entitled An Ocean of Possibilities, as well as the launch of DECK, a brand new independent art space for photography in Singapore, which will be the first official festival village for SIPF. Core exhibitions include the Open Call Showcase, Flux Realities: A showcase of Chinese Contemporary Photography, AFTERIMAGE: Contemporary Photography in Southeast Asia and TYPES: After Becher each adding more depth to the festival. Programmes include workshops for the professional and beginner, talks, film screenings, guided tours, and outreach, while school and education programmes continue to expand the horizons of our young minds. Together with esteemed curators and industry experts, Nikon lends its voice in grooming our young photographer talents of today’s generation. Nikon is sponsoring a cash prize of S$1,000 for the best portfolio reviewed in this segment which takes place over 4 – 5 October, to further incentivise aspiring young photographers to take the step towards better photography. Aspiring photographers and artists can also get their portfolios reviewed by Award-Winning Editorial and Commercial Photographer, Nikon Professional Photographer, Scott A. Woodward (Canada/Singapore), who will coach young photographers with his experience in commercial photography. With equipment support from Nikon, SIPF is able to reach out peripherally to schools as well and provide some basic photography and video workshops for new photography enthusiasts with support of Nikon DSLRs. Wish you could do more than just point-and-shoot with the camera you have? Join Nikon School and learn how to make every photograph better with 3 simple F’s: features you can use, framing that stands out, and how to fully embrace the light. Join Nikon School to learn how to use your DSLR for personal video projects, and you’ll never miss that special moment again! Join Nikon on 18 OCTOBER 2014 at Festival Village, DECK! I AM THE FULL STORY – Join us at Nikon’s first-ever 1-day pop up classroom at Festival Village at DECK on Saturday, 18 October 2014 from 9am to 9pm, where you can cosy up with Nikon for an entire day! Together with special guest photographers, Nikon presents activities that will inspire one to tell their own story through their photos. Participants will get to know more of what goes behind the lens by hearing the behind-the-scenes, personal stories from our photographers as well as play with the latest technologies. 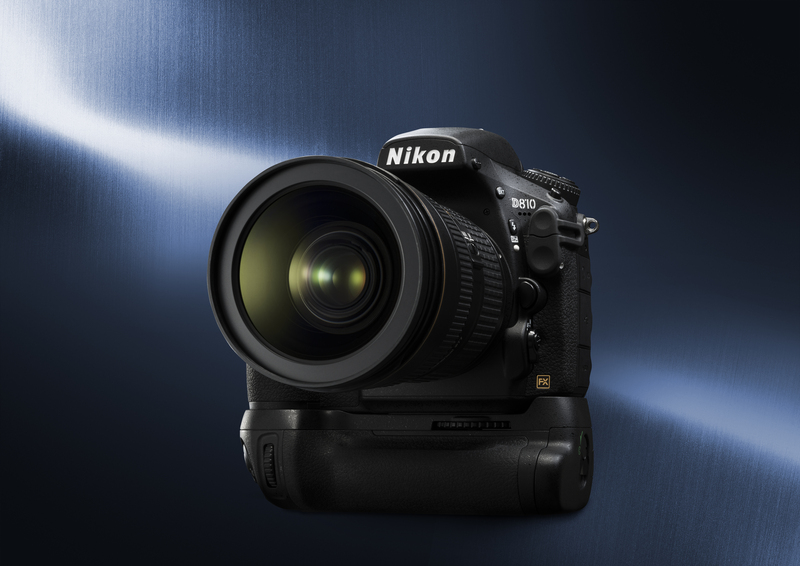 Visitors could have a hands-on session with the Nikon D810 and other latest Nikon gears in the market! Join us for a workshop with Elliot and explore the Prinsep Street area in a photography walkaround! Elliot will share photography tips to expand your photography skills and know-how! 30pax by RSVP only. 1.30-4pm An Afternoon with the Latest Nikon Gear! Join us for a first-person, hands-on experience with our D810 and other latest Nikon gears on location. During this slot, you’ll get to meet with Nikon Photographers, Bryan Foong, Edwin Koo and others, who will answer your photography queries! Free admission, Open to public. Join Edwin on the popular “Tell Real Stories™ photo seminar and learn about the art of visual storytelling. Find out how to create stories from your photography and what goes on behind the ‘decisive moment’ in visual storytelling. 30pax by RSVP only. 6.30-8.30pm Light Painting with Nikon! 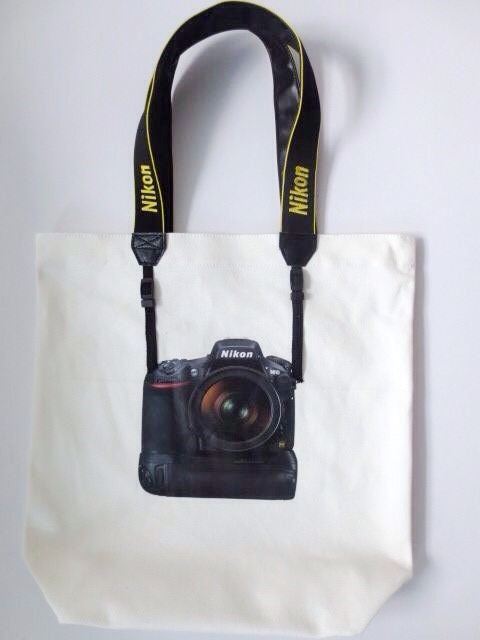 Exclusive Nikon Tote Bag for Grabs! Nikon fans can also be delighted with the chance to purchase a limited edition Nikon Tote Bag*. Not only will Nikon be sharing experiences over its 1-day pop-up booth, you could get more of the full story through four more talks by Nikon photographers. These events are free and open to the public. The talks will be held at various branches of the National Library Board (NLB), as well as the new Festival Village at DECK by SIPF. As professional photographers in the industry, the Nikon pros will share their experiences of seeing their photography passion come to life through a behind-the-scenes journey from the early days of being a young photographer amateur, till where they are today. Dreams are often fluid and transient but fine art photographer Bryan Foong is able to materialise them into photographs of extraordinary beauty meant to last a lifetime. This is especially so for his travel and bridal images, which often are dramatic tableaus combining contemporary with classical sensibilities. A Nikon professional photographer, Bryan has been commissioned with more than 200 wedding assignments and has accumulated over 50 awards and accolades in international competitions. Come hear about his inspirations and processes behind creating these masterpieces! Photo: Nikon Professional Photographer, Aaron Wong. As a commercial photographer for over a decade, Singapore- based Nikon photographer Aaron Wong has shot celebrities for countless fashion magazines and ad campaigns. Beyond the glamour and limelight, he is equally fascinated by the tranquil world beneath the waves. 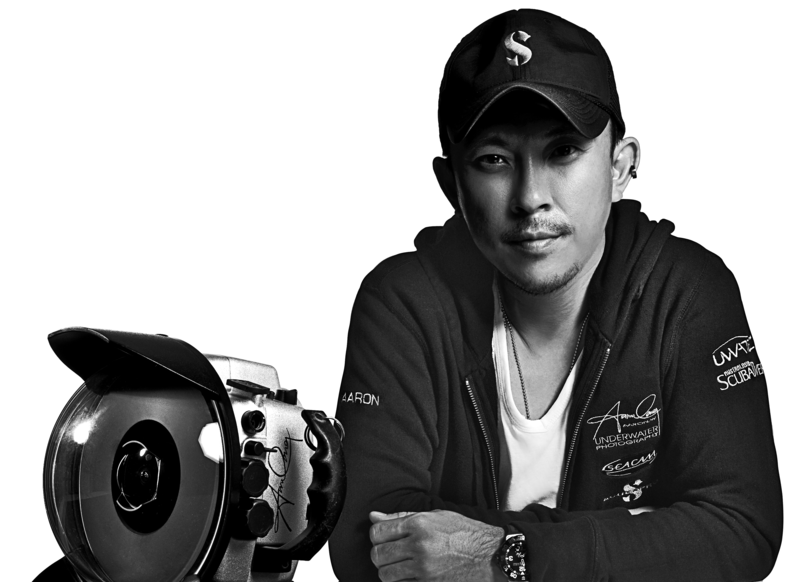 Learn how he merged his two greatest passions by bringing fashion photography underwater, to eventually establishing himself as one of Asia Pacific’s most renowned underwater photographers. Photo: Nikon Professional Photographer, Scott A. Woodward. Let your hair down, take a deep breath and roam to fascinating corners of the world through the images of award-winning Nikon Professional Photographer Scott A. Woodward. If you have a taste for the wild side, survive on that adrenaline rush and wish to pick up tips on documenting your adventures, this talk is not be missed! 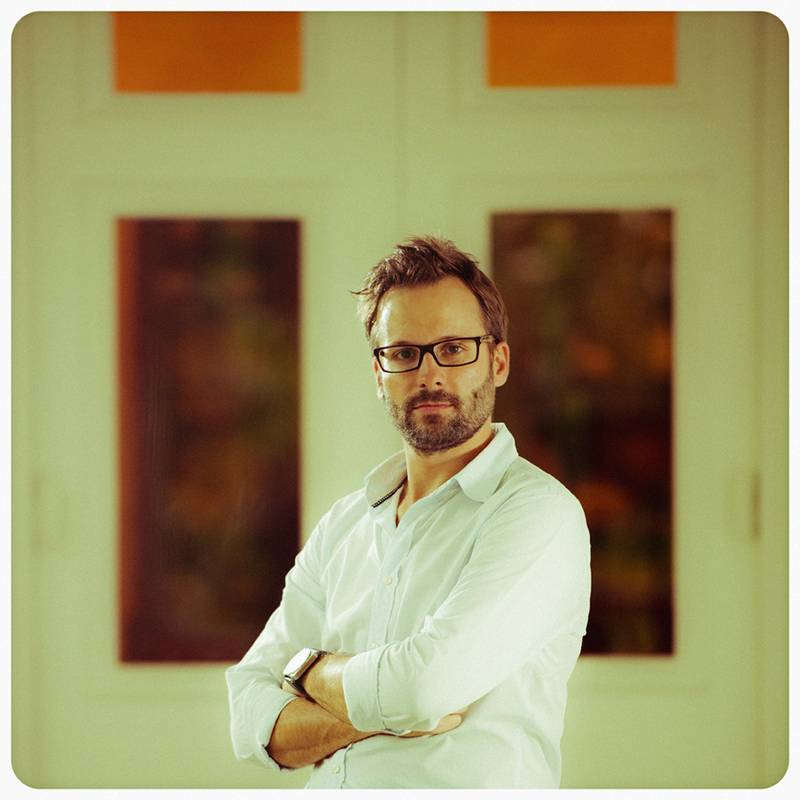 The Canadian-born, Singapore based photographer who was honoured by Luerzer’s Archive as one of the “200 Best Ad Photographers, will also share about his recent photo expedition up 4,000m high to the Himalayas in Bhutan. Photo: Nikon Professional Photographer, Alex Soh. 20 years of love and 15 years of being a professional. “Capture with your heart” is Alex Soh’s guiding philosophy. He travels all over the world building stock imagery for organisations and companies for clients like Adobe and STB. He is also one of the world class contributing photographers to Gettyimages. Hear how Alex crafts his work through this series of pictures, whether it is magnificent landscapes or touching people’s lives along his journey. Come, let Alex share his journey and craft to capture the best moment. There are many genres to Aaron Wong’s photographic work. From commercial advertising and fashion, to the unique underwater realm, few in the world have managed to master such a broad spectrum of work. Known for his strong colors and contrast, Aaron has, for over 17 years, shot for countless fashion magazines, and Ad campaigns ranging from SONY to Levis. He had also collaborated with international celebrities like Gong Li and Mandy Moore. Besides his commercial work, Aaron’s other great passion is the world beneath the waves. He took the plunge into the world of underwater photography in 2002 and have since gathered several international awards to his name, including Our World Underwater, and BBC Wildlife Photographer. A member of the prestigious Ocean Artists Society, Aaron’s images have graced the pages of magazines all over the globe and is today, one of the most published and recognized underwater photographer in the world. His images have set a whole new standard for the industry. In April 2011, Aaron published his first book titled ‘WATER.COLORS’ showcasing some of the most stunning underwater images the world has ever seen. In April 2012, Aaron published his 2nd book titled ‘THE BLUE WITHIN’. which features the best of Aaron’s award winning underwater images from a decade of underwater exploration. Aaron is now one of the most sought after underwater photographer in Asia with sponsorships from SEACAM, SCUBAPRO, UWATEC and FOURTH ELEMENT, a prestige reserved for the very best. Through his images, Aaron helps spread the message of marine conservation. Most notably is his work with sharks where he campaigns actively for the projection of these beautiful animals. As the ambassador of Shark Savers, Aaron started the ‘FINished with Fins’ campaign in 2012, with aims to educate the mainstream media on the reality of shark finning. Today, ‘FINished with FINS’ is the largest shark saving campaign in the world with National Geographic, and WWF onboard. 20 years of love and 15 years of professional. “Capture with your heart” is Alex Soh’s guiding philosophy as he travels across the globe with his camera. Follow his footprints through the landscapes of Arizona, Scotland and Chile to the small villages in Indonesia, Cambodia, Thailand and Vietnam. His photographs showcase the beauty of nature in its wide array–from the people to their environment. Alex is known for his passion in touching lives, both the audience and the friends he met along his journey. His fine art works are the loves of many collectors and his images can be found on the covers of Our Daily Bread, a publication that is distributed worldwide with a circulation figure of 17 million copies. 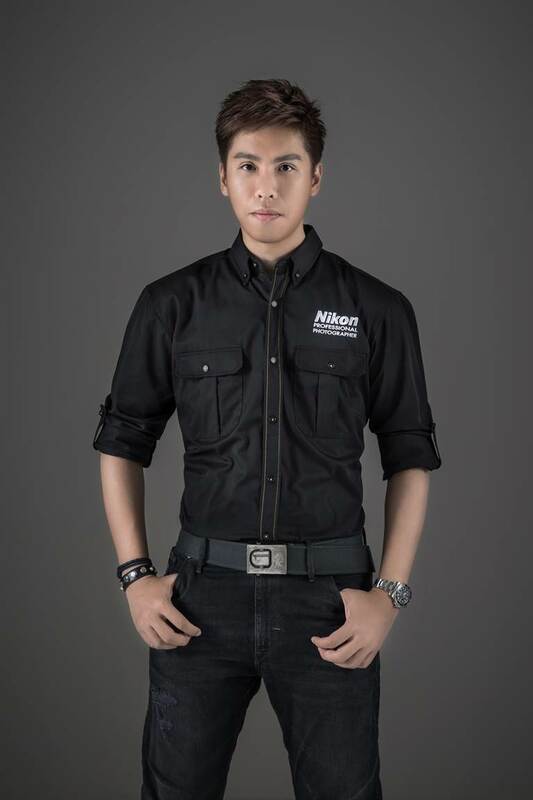 Alex is a Nikon ambassador in Singapore (Nikon Professional Photographer), a stock image contributing photographer to gettyimages and other clients he work with like Adobe, Singapore Toursim Board and more. He is based in Singapore and is ready for assignment to anywhere in the world from documentary to landscape and travel photography. Alex is also the founder of The Rice Project: using the power of photography combined with exhibition to create public awareness to address poverty and in helping the needy. With his deep passion to share his love for photography with others, he also leads groups on photo expedition trips to Chile, Japan, Cambodia and Sri Lanka. Bryan Foong, harnessed the power of photography to make dreams come true. By understanding the wants and needs of his clients, he is able to seamlessly weld the mood, feelings and emotions into the masterpieces of their dreams. Graduated with a Bachelor of Arts in Sociology, Bryan pursue to apprehend the changing perspectives of wedding photography through society’s progression. Being a keen learner of different cultures and traditions, he is able to fuse contemporary approach onto classical mores. Established in 2008, Bryan Jean Photography gained significant clout in its first year with a portfolio of 60 clients. The following year, Bryan bagged his first award, inducted into the Master Photographers Association as a Licentiate and finished in the Top 30 Photographers of AGWPJA. Within a span of 4 years, he has been commissioned with more than 200 wedding assignments. He also accumulated over 70 awards and accolades in international competitions. 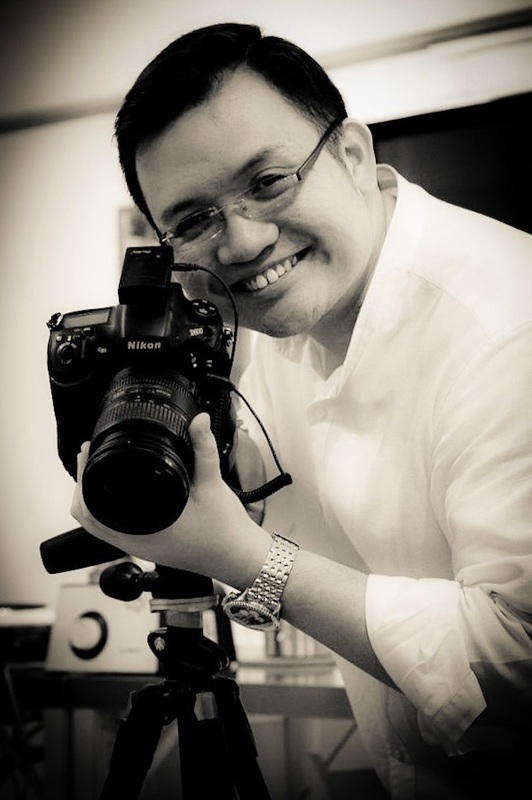 Earlier in 2012, He was named one of the Asia TOP 30 Wedding Photographers by a regional magazine. Bryan has been featured in articles published in Today newspaper, Tatler Weddings, Herworld Brides, Blissful Brides and Style Weddings. He was also an invited speaker for Nikon, Hasselblad and Profoto on wedding and portraits photography. With an uncompromising pursuit of excellence, Bryan’s accomplishments can be attributed to patience and unparalleled motivation for uniqueness of himself and his craft. Specialising in Food and Product photography for commercial advertisement, Calvin passionately pursues visual perfection with remarkable talent and creativity. 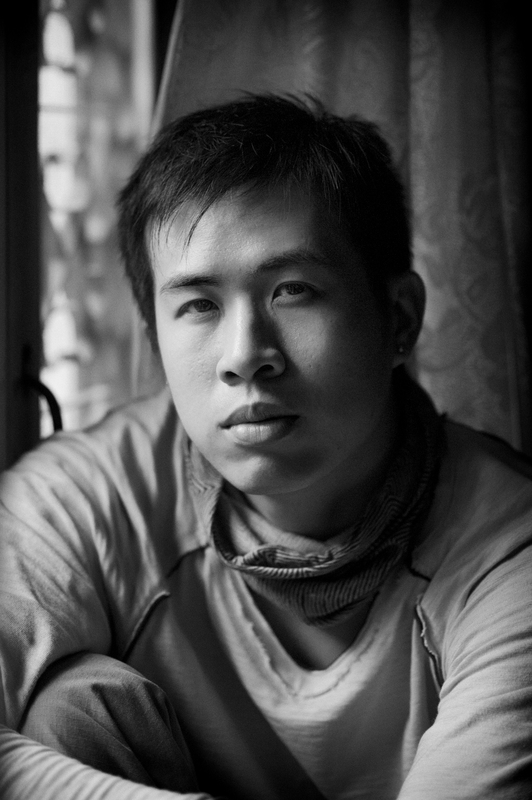 His global art sales began when he was chosen to represent Singapore as the featured international photo artist for Asian stock photography and further spurred by featured interviews with Yahoo news, JobsCentral and MediaCorp TV channels on his entrepreneurial photographic success. After achieving countless experiences in the photography industry, contributing to many highly acclaimed functions & events, his exceptional work of art had earned him the top finalist spot on MediaCorp Channel 5 TV Nikon photography competition, “The Big Shot 2”. Equally comfortable in front of the camera, Calvin was occasionally invited as guest. He also appeared on ClickNetwork’s TV show for “Food Styling and Photography” episode and garnered more than 61,000 viewers. Harnessing the advance photography technology, he occasionally does light painting during his free time and was invited by URA as guest presenter for Asia’s first and only sustainable light art festival; i Light Marina Bay 2012. In 2013, he was filmed on MediaCorp OKTO TV show “The Art Bus” where he was interviewed and demonstrated how light painting works and shared useful tips on how to create our DIY light painting photographs. The success of a person isn’t completely measured by wealth and fame. Calvin believes that it is measured by doing the same thing repeatedly over many years and still feels extremely passionate about it. Edwin Koo was born in Singapore in 1978. He graduated First Class Honours from Nanyang Technological University School of Communication Studies, specialising in journalism. In 2008, after five years as a news photographer, he left the newsroom and decided to move to Nepal with his newly wedded wife. Based in Kathmandu as a freelance documentary photographer, Koo mainly focused on personal work dealing with issues of human displacement and the lost sense of identity. His pet topics include the Tibetan exiles, the Maoist guerrillas, and Pakistan’s Swat Valley. Occasionally, he photographed for international publications, but the young couple mainly lived off savings during the two-year stint. In 2011, Koo returned to Singapore with the birth of his son. His first personal project in Singapore – dedicated to his son – was to document the historic 2011 General Election. Eventually, it culminated in his first solo exhibition – “Notes from a Singapore Son” – a body of work reflecting a tsunami of change in Singapore’s political landscape. Koo’s work has been recognised internationally. In 2009, he was awarded the Getty Images Grant for Editorial Photography. Earlier that year, his work on Pakistan also won a third placing in the UNICEF Photo of the Year. In 2012, he was awarded one of Singapore’s most prestigious photography accolades: the ICON de Martell Cordon Bleu, which recognises an individual for an outstanding body of work in his photographic career. (Cambodia, 2011), Photo Quai festival (France, 2011), and the Lumix Festival for Young Photojournalists (Germany, 2009). Koo’s work has also been published in international titles such as GEO, International Herald Tribune, The New York Times and Le Monde. He is currently represented by French photo agency Cosmos. Assoc Prof Liang-Tien Chia, Clement started his academic career in the mid-nineties with the Nanyang Technological University, School of Computer Engineering. 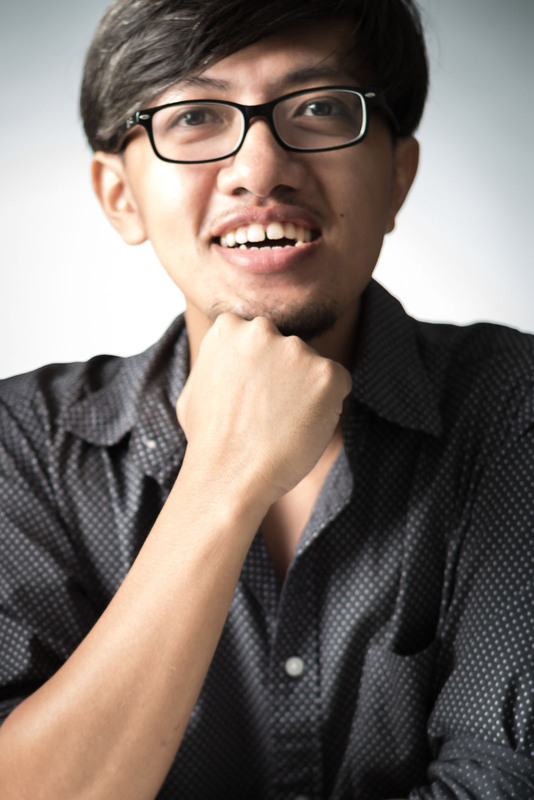 His research interests can be broadly categorized into the following areas, Internet related research with emphasis on the Semantic Web, Multimedia (Image & Video) Understanding through media analysis, annotation and adaptation, Multimodal data fusion and Multimodality Ontology for Multimedia. He has published over 100 refereed research papers. In additional to his academic career, Dr. Clement Chia has a life-long interest hobby – Photography. The first half of his photography journey, in the late seventies – at a very young age, resulted with him participating in International photography salons, winning a few certificate of merits and even a bronze medal (colour section) in the 1981 international students’ photographic salon. He faded away from the photography scene, only to slowly restart the second part of his photography journey in the last 10 plus years. The photography scene has changed tremendously over the last twenty years; we are moved into in the digital era. There have been a number of technologies that has aided the developments of digital photography in the past and also in the future. Photo editing software has certainly benefited from computer vision techniques, camera hardware manufacturers have learned from the research area of computational imaging. Clement, a believer on the use of technology in photography has been getting some undergraduate students to work on photography projects that incorporate their computer engineering skills. In his presentation on 18th October at the Nikon pop-up booth, Clement will briefly describe the computer engineering technologies that have been used to create his light-display tool. He will also showcase how he does light-painting with his light-display tool. Singapore-based, Canadian photographer Scott A. Woodward calls his photography style “Choose Your Own Adventure Photography”, after the books he used to read as a young boy. Literally and creatively, Scott can go one direction and discover a remarkable photographic opportunity; or he can go another direction and find something entirely different. It is this adventure that is the beauty of photography for him. Scott’s father is an avid and accomplished amateur photographer. When Scott was a young boy, he taught Scott how to operate a manual camera, skilfully interpret light and imaginatively compose an image. But more importantly, his dad instilled in him a sense of wonder and adventure; it is these traits that truly make Scott a photographer. Scott’s editorial work has appeared in esteemed publications such as National Geographic Magazine, Condé Nast Traveller, Travel + Leisure, Departures, Monocl e, Vogue, GQ, Esquire, The Financial Times and The New York Times and he has photographed advertising campaigns for global brands Google, MasterCard, Adidas, Nokia, InterContinental Hotels, Johnnie Walker, Nestle, Standard Chartered Bank, Johnson & Johnson and Unilever. Luerzer’s Archive honoured Scott as one of the “200 Best Ad Photographers Worldwide” and Nikon named him “One of Asia’s Finest Photographers”. Scott recently hosted Around the World with Voyager, a five-episode travel and portrait photography television series on HISTORY Asia. Scott is a SanDisk Extreme Team member, a Nikon Professional Photographer and a Getty Images Global Assignments photographer. As a commercial photographer, Elliot sells ideas; whether in shooting spaces, people, or still life. This is the guiding philosophy and the basis for his work, most of which can be found alongside global brands in Singapore – like Starbucks, KFC, Pizza Hut – and local icons, like Studio M, and SC Global. 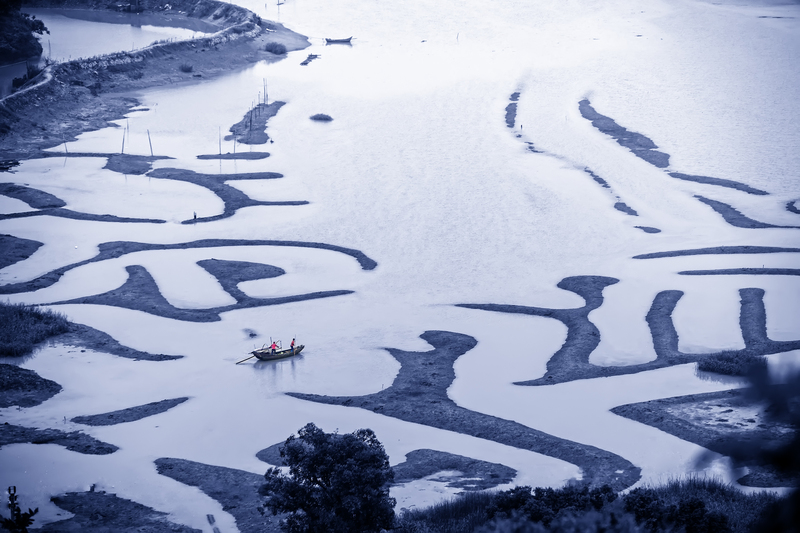 It is a belief that has been kept intact for years since Elliot first won a regional photo competition by National Geographic and decided to leave a career in finance for photography. Aside from storytelling, Elliot also develops a style for highly produced images and clean looks. Both self-taught and mentored by various veterans, Elliot has honed skills over time in the crafting of an image, and an intimacy for light. This evolution can be seen in his recent and past works at http://www.elliotly.com. Elliot now plies the trade learning that the learning does not stop. Pursuing a passion is a life-long education. A meeting place for the professional, the novice, the smartphone photographer, the photographed and the viewer. Situated at the heart of the Arts & Heritage district, DECK is a revolutionary art space in Singapore. An independent, non-commercial space housed within 19 furbished containers, it heralds endless photographic possibilities for the people, by the people. From October onwards, DECK will be SIPF’s one-stop Festival Village for information, purchase of Festival Pass and merchandise, programmes, and media accreditation. For more details, visit http://deck.sg! For more information, visit http://www.nikon.com.sg. Connect with Nikon Singapore and other photographers on Facebook at http://www.facebook.com/nikonsingapore. Note: All contents published on this article were originally sent to us by Nikon’s PR Agency. This entry was posted in Brand: Nikon and tagged Nikon. Bookmark the permalink.